The wireless receiver allows the scanner to work up to 100 ft.with no wires to get tangled. This charging cradle allows for hands-free scans and charges the scanner at the same time. 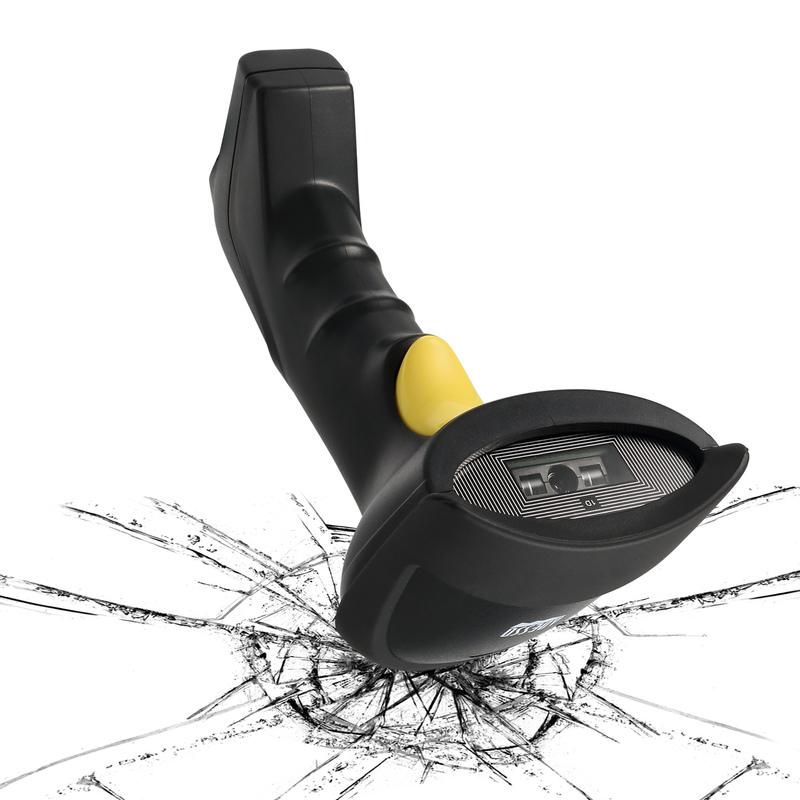 Its built-in USB receiver also makes the scanner completely Plug-n-Play! 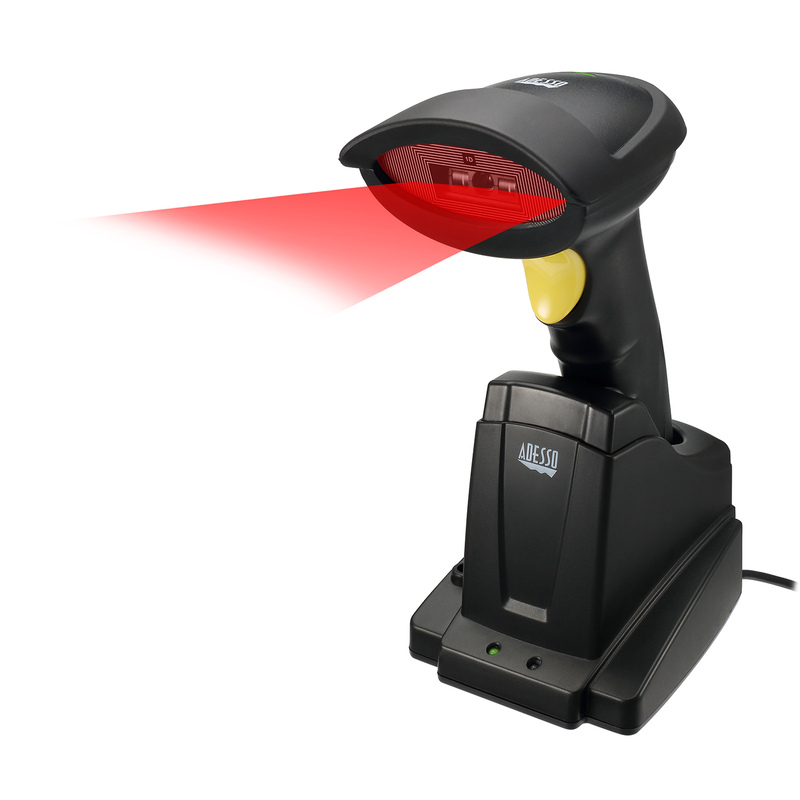 The 500 scans per second scan rate and innovative high pixels CCD engineoffers fast and accurate scanning results. 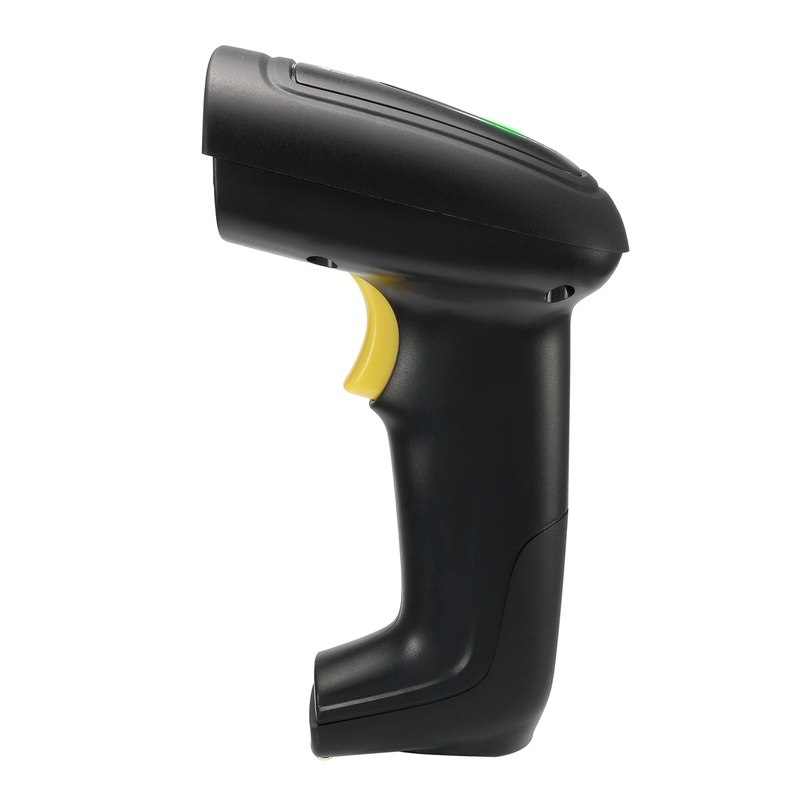 The NuScan 5200TR is able to scan barcodes and transmit those barcode data to its charging cradle with built-in receiver from up to 100 feet away. With the scanner’s CCD engine and durable silicone plastic material, it makes the Nuscan 7300CR less likely to become damaged due to accidental drops. 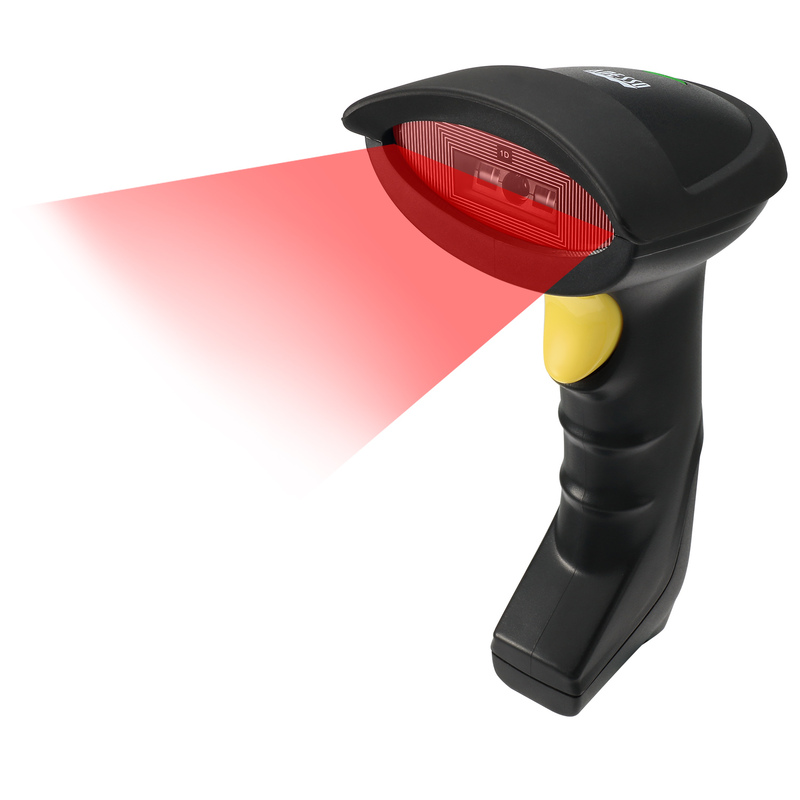 The CCD sensor is able to scan barcodes up a scan depth of 20 inches. 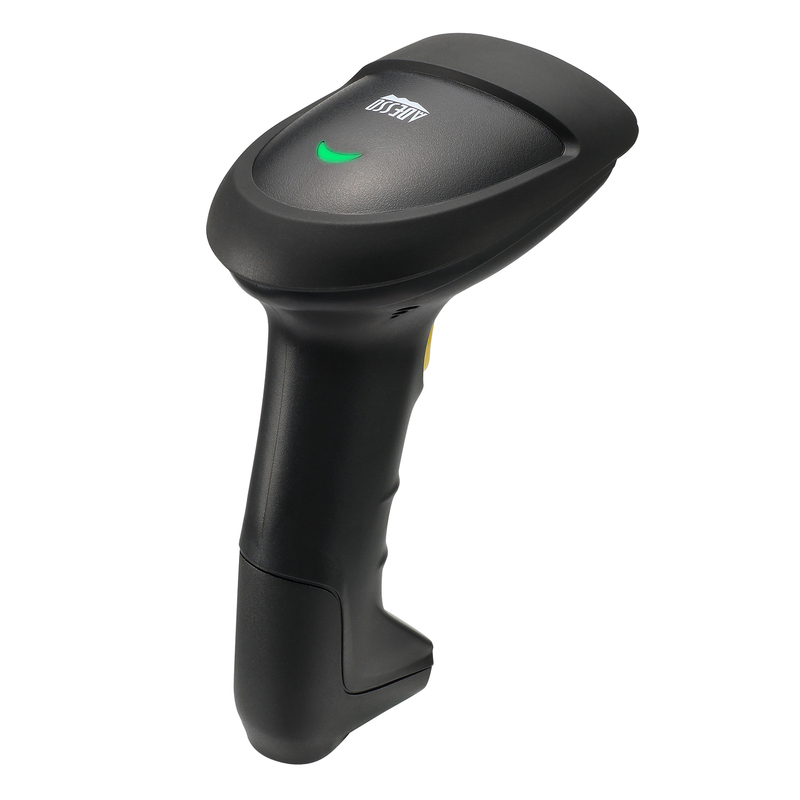 Its built-in decoder can read the majority of 1D barcodes in existence and its driver-less operation makes it easy to use with both Windows® and Mac® operating systems. 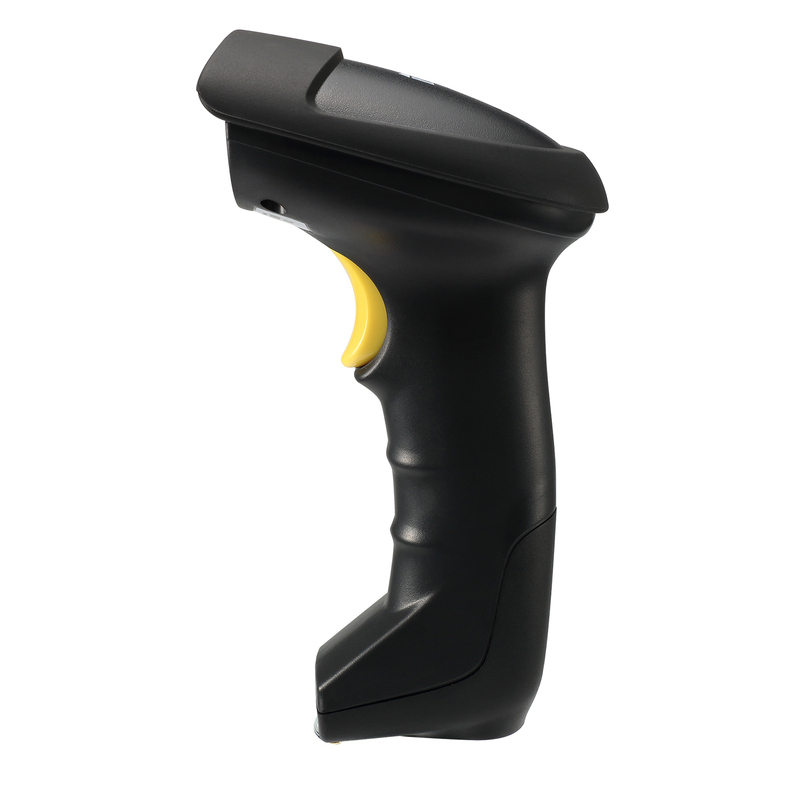 Easy-to-hold grip and a thumb-switch offer maximum comfort for long scanning use. 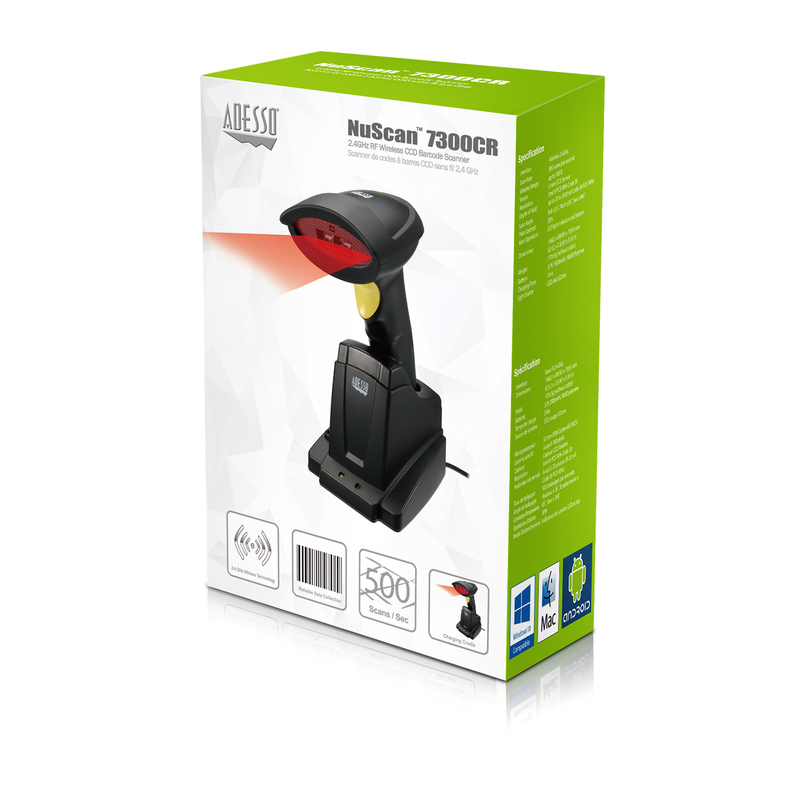 Product Description: The Adesso Nuscan 7300CR is the ultimate barcode scanning solution when you need to go wireless. With its maximum scanning rate at 500 scans per second, users will find increase in their work efficiencies. 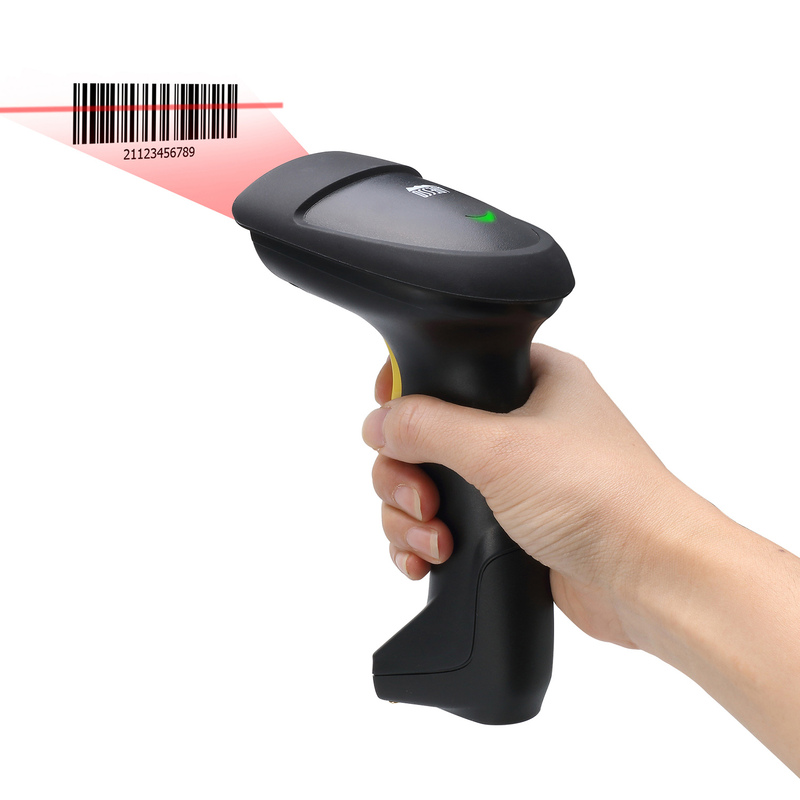 The Nuscan 7300CR’s new decoding engine allows it to decode barcodes at a superior speed and scanning barcodes from as far as 20 inches away. With the 2.4 GHz RF Wireless Technology, users will find connecting the scanner with your machine a breeze. Plug-n-Play, it’s that simple. This technology also enables users to scan wirelessly up to 100 feet. 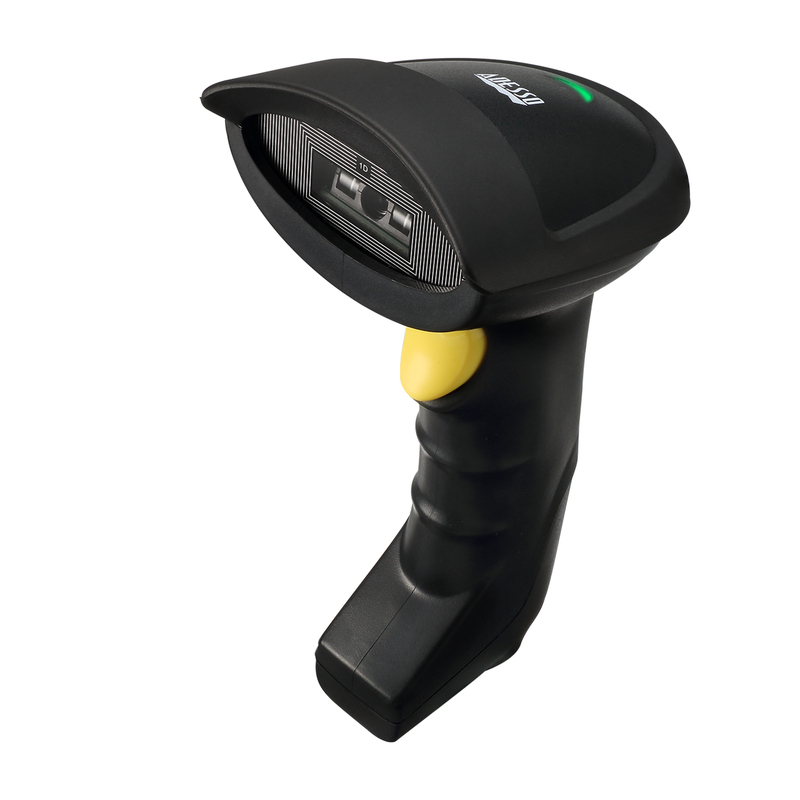 With it’s strong casing design the scanner will withstand drops from as high as 5 ft. On top of all the above great features, the Nuscan 7300CR is also designed to comfortably fit in your hands. 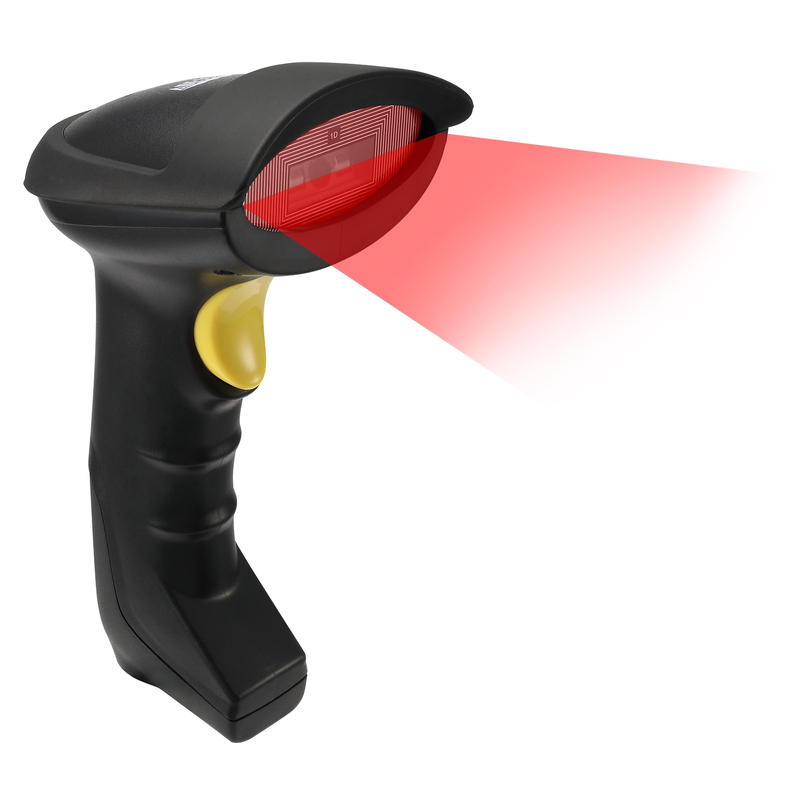 The Nuscan 7300CR is truly the go-to wireless barcode scanner. Wireless Range: Up to 100 ft. Supported Symbologies EAN-8/13, Codabars, Code 11, Code 39, Code 39 Full ASCII, Code 93, Code 128, GS1 DataBar Limited (RSS Limited), GS1 DataBar Omnidirectional (RSS Omnidirectional), UPC-A, UPC-E, Code 2 of 5 (ITF, Industrial, Matrix, Standard IATA), MSI, Plessy, Addedum 2 or 5.